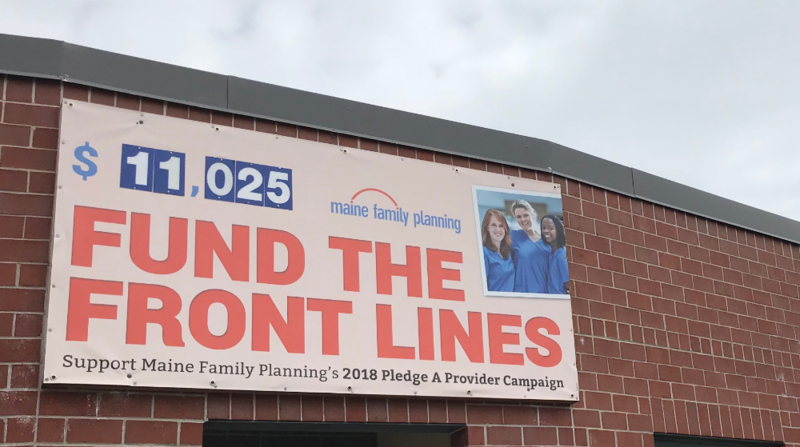 Our 2018 #PledgeAProvider campaign has come to an end, and thanks to your generosity, we brought in over $11,000 to fund Maine Family Planning health care, sexuality education, and advocacy programs. We heard from members of the MFP team about why they do this work, what they hear most from patients, and what they wish they could say to the anti-abortion picketers who spent more than six weeks camped out across the street with gruesome, misleading signs. For me, one of the best parts of this effort was seeing how eager staffers were to participate — how much they wanted to share their thoughts and values, how proud they were of the care we provide, and how compassionate they are, not just to our patients but even to our opponents. We truly have an amazing team of providers, in the broad sense of the term, at Maine Family Planning. Thank you for supporting them, and for helping us fund those at the front lines of reproductive health.